Come one, come all, because this is a post for the ages! This Friday, we dig into trends on giving across the generations – millennials, gen x’ers, and baby boomers. Be sure to check out all of the FANTASTIC resources at The Millennial Impact Project where you can learn what inspires millennials to volunteer, donate, and stay engaged, as well as identify geographical and gender-based trends on giving within this group. Octant Analytics tells us everything we need to know about who Gen Xers are and how to get them involved with giving in this great post! The Chronicle of Philanthropy indicates that people give at higher rates after retiring. A generation of baby boomer retirees who are expected to have an even longer lifespan than their parents translates to a potential $6.6 trillion in monetary contributions to nonprofits over the next 20 years. loyal donors in their 30s and 40s. Which planned giving programs are appropriate for organizations. 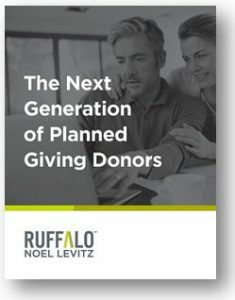 How to identify potential planned giving donors, even those 10-20 years from retirement. How to evaluate the ability of a planned donor to give vs. their desire to make a donation.